Meteorological data show that disastrous floods are increasingly frequent and more severe in recent years, perhaps due to climatic changes such as global warming. During and after a flood disaster, traumatic injuries, communicable diseases, chemical exposures, malnutrition, decreased access to care, and even mental health disorders dramatically increase, and many of these have dermatological manifestations. Numerous case reports document typical and atypical cutaneous infections, percutaneous trauma, immersion injuries, noninfectious contact exposures, exposure to wildlife, and exacerbation of underlying skin diseases after such disasters as the 2004 Asian tsunami, Hurricane Katrina in 2005, and the 2010 Pakistan floods. This review attempts to provide a basic field manual of sorts to providers who are engaged in care after a flooding event, with particular focus on the infectious consequences. Bacterial pathogens such as Staphylococcus and Streptococcus are still common causes of skin infections after floods, with atypical bacteria also greatly increased. Vibrio vulnificus is classically associated with exposure to saltwater or brackish water. It may present as necrotizing fasciitis with hemorrhagic bullae, and treatment consists of doxycycline or a quinolone, plus a third-generation cephalosporin and surgical debridement. Atypical mycobacterial infections typically produce indolent cutaneous infections, possibly showing sporotrichoid spread. 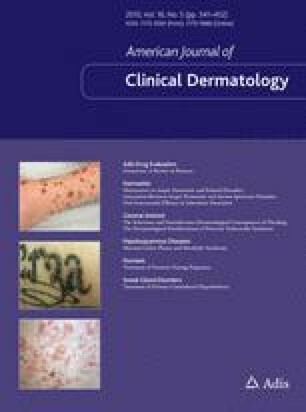 A unique nontuberculous infection called spam has recently been identified in Satowan Pacific Islanders; combination antibiotic therapy is recommended. Aeromonas infection is typically associated with freshwater exposure and, like Vibrio infections, immunocompromised or cirrhotic patients are at highest risk for severe disease, such as necrotizing fasciitis and sepsis. Various antibiotics can be used to treat Aeromonas infections. Melioidosis is seen mainly in Southeast Asia and Australia, particularly in rice farmers, and can remain latent for many years before presenting as the host’s immunocompetence wanes. It can present with a variety of skin findings or as a nonspecific febrile illness, and preferred treatment consists of ceftazidime or a carbapenem with trimethoprim/sulfamethoxazole (TMP/SMX) for 2 weeks, then continuing TMP/SMX for at least 3 months. Leptospirosis is a waterborne zoonosis that is often prevalent after heavy rains or flooding. Different forms exist, including Fort Bragg fever, which produces a distinctive erythematous papular rash on the shins. Doxycycline is often sufficient; however, volume and potassium repletion may be necessary if renal involvement exists. Chromobacterium violaceum infection may occur after open skin is exposed to stagnant or muddy water. Cultured colonies produce a unique violacein pigment, and treatment typically consists of a carbapenem. Both typical and atypical fungal infections are increased in the flooding disaster scenario, such as dermatophytosis, chromoblastomycosis, blastomycosis, and mucormycosis. Appropriate antifungals should be used. In addition, land inundated with water expands the habitat for parasites and/or vectors, thus increased vigilance for regional parasitic infections is necessary after a flood. Lastly, noninfectious consequences of a flooding disaster are also common and include miliaria, immersion foot syndromes, irritant and allergic contact dermatitis, traumatic wounds and animal bites, and arthropod assault, as well as exacerbation of existing skin conditions such as atopic dermatitis, psoriasis, and alopecia areata due to increased stress or nonavailability of daily medications. The online version of this article (doi: 10.1007/s40257-015-0138-4) contains supplementary material, which is available to authorized users. The opinions offered are those of the authors and do not represent the official position of the US Air Force or the Department of Defense. Justin P. Bandino, Anna Hang and Scott A. Norton declare that they have no conflicts of interest. Dartmouth Flood Observatory. Community surface dynamics modeling system. University of Colorado. http://floodobservatory.colorado.edu. Accessed 10 April 2015. EM-DAT. The OFDA/CRED International Disaster Database. Centre for Research on the Epidemiology of Disasters, Université Catholique de Louvain, Brussels. http://www.emdat.be. Accessed 6 June 2015. Epidemiological bulletin: flood response in Pakistan. 1(2); 2010. http://www.who.int/hac/crises/pak/sitreps/pakistan_epi_30august2010.pdf. Accessed 5 April 2015. World Health Organization. Provisional guidance on the role of specific antibiotics in the management of Mycobacterium ulcerans disease (Buruli ulcer). http://www.who.int/buruli/information/antibiotics/en/. Accessed 11 April 2015. National Disaster Coordinating Center, Department of Health, Republic of the Philippines. Final report on tropical storm ONDOY and typhoon PEPENG. http://reliefweb.int/report/philippines/philippines-ndcc-update-final-report-tropical-storm-ondoy-and-typhoon-pepeng. Accessed 12 April 2015. World Health Organization. Interagency emergency health kit. 2011. http://www.who.int/medicines/publications/emergencyhealthkit2011/en/. Accessed 11 April 2015. World Health Organization. Technical note: malaria risk and malaria control in Asian countries affected by the tsunami disaster. February 2005. http://www.who.int/malaria/publications/atoz/tsunamitn2005/en/. Accessed 12 April 2015. World Health Organization. Communicable disease situation update flood affected districts, Pakistan. 18 August 2010. http://reliefweb.int/report/pakistan/communicable-disease-situation-update-flood-affected-districts-pakistan-18-august. Accessed 12 April 2015. Environmental Protection Agency. Murphy oil spill. http://www.epa.gov/katrina/testresults/murphy/. Accessed 4 April 2015.